Adab (Arabic): The genre of belle-lettres, or elegant and entertaining literature. Alloy: A mixture of one or more metals, or of a metal and a non-metallic element such as carbon. Alum: A group of mineral compounds that are employed in craft activities, including the preparation of glazes and a dye fixers in textile manufacture. Amīr al-muʾminīn (Arabic): ‘Commander of the faithful. The title employed by the caliph. ʿArīf (Ar. ): An official designated by the muḥtasib (q.v.) to oversee the activities of artisans within a guild. Āya: Verse from the Holy Qurʾan (q.v.). Bannāʾ (Arabic): Mason or builder. Bazaar (Persian: bāzār): The market area of a town or city. Bedouin (Arabic: badū). Nomadic peoples living in arid and semi-arid regions of the Islamic world. Billawr or ballūr (Arabic): Rock crystal, but can also be used to refer to high quality crystal glass. Black organic material: Employed in the same way as niello (q.v.) to create visual contrast in inlaid decoration. Black organic material can be made from a variety of hydrocarbons, including bitumen, tar, and gums. Borax: Sodium borate. This water soluble mineral has numerous applications, including the extraction of gold from gold-bearing ores. Brass: An alloy made principally of copper and zinc. Bronze: An alloy made principally of copper and tin. Burnishing: The process of smoothing and making metal surfaces shiny through vigorous rubbing. Chasing: Engraving into a metal surface using hard cutting tools, usually made from steel. Chiselling: Using a chisel in order to remove larger areas from a design. Clamp: A fire covered in turf sometimes employed in firing handmade pottery. Cullet: Broken glass, often melted down to make new glass. Damascening: Steel containing wavy lines of lighter and darker metal. Caused by mixing varying amounts of carbon through the materials that are heated in a crucible to produce an ingot of steel. The name suggests an association with Damascus, although there is little evidence to support the production of patterned steel in the city. Damask: Patterned fabrics, particularly made in silk, that are reversible (with patterns on either side). The name derives from the city of Damascus. Dervish (Arabic: darwīsh): Adherent to a sufi (q.v.) group. Dhirāʿ (in English, sometimes as dhirra): Unit of length equivalent to a cubit. Varies across the Middle East from 0.56 to 0.8 m.
Dīnār (Arabic: in English, dinar): Most common form of gold coin issued in the Islamic world. Dirham (Arabic: in English, sometimes as dirhem): Silver coin. Distaff: Tool used for holding the unspun fibres during the process of spinning. Dīwān (Arabic): 1) Office of state; 2) account book used by a state treasury; 3) collection of poetry by a single writer. Etching: (Metalwork) Treating selected areas of a metal vessel with acid to create shallow troughs and lines. These can then be filled with wire or metal foil (usually silver or gold). The effect is similar to inlay (q.v.). Most commonly employed in Persian metalwork in the nineteenth and twentieth centuries. Fatwā (Arabic): A religious pronouncement made by a jurist or other religious authority. Firmān or faramān (Arabic, and in Persian, farmān): Decree or edict. Commonly employed in the Ottoman empire. Flux: A chemical compound that reduces the temperature at which silica, the chief ingredient of glass and ceramic glazes, vitrifies. Alkalis and lead compounds are common fluxes in traditional Islamic manufacturing practices. Forging: The process of heating metal (particularly iron and steel) and shaping using hammer blows. Fulling: Cleaning woollen textiles of their dirt and natural oils. Fulling also expands the volume of the finished cloth. Futuwwa (Arabic): An association of young Muslim men. These are sometimes associated with groups of artisans. Geniza (Hebrew): The practice of storing discarded documents within a synagogue. Gilding: The application of a thin lay of gold to the surface of an object. Gimblet or gimlet: Small drill used in woodworking. Girih or gereh (Persian): Literally meaning ‘knot’, and referring to complex geometric interlace patterns. Greater Syria (Arabic: Bilād al-Shām): A region encompassing the modern polities of Syria, Lebanon, Jordan, Israel, the Palestine Authority, and parts of southeastern Turkey. Through much of the Islamic period, Damascus functioned as the capital of this region. Grog: Pot sherds ground up and added to a ceramic paste as a form of temper. Guild (Arabic: ṭarīqa and ṭāʾifa): A professional association for artisans. Gypsum: calcium sulphate dihydrate. A soft rock that is commonly fired in order to make a component part of stucco (q.v.). Ḥadīth (Arabic): Written records of sayings and actions attributed to the Prophet Muhammad and his companions. The ḥadīth (plural: aḥādīth) form the basis of Islamic law (see Sharīʿa). Hajj (Arabic: ḥajj): The annual pilgrimage to Mecca, and one of the five ‘pillars’ of Islam. Hajji (Arabic: ḥajjī): A person who has performed the hajj (q.v.). Hammering: Shaping sheet metal using blows by a hammer or similar tool. Handmade Pottery: Ceramic vessels made without a kickwheel. These vessels are usually assembled from coils of clay that are smoothed into shape by hand. Hijaz (Arabic: Ḥijāz): The western side of the Arabian peninsula, containing the Holy Cities of Mecca and Medina. Ḥirfa (Arabic): Craft (see also ṣināʿa). Ḥisba (Arabic): Accountability, and referring to the responsibility of Muslim governments to ‘command right and forbid wrong’. In the present context, ḥisba can be defined broadly as market law. A branch of Sharīʿa law (q.v. ), overseen in Islamic urban centres by the muḥtasib (q.v.). Inlay: The hammering of wire or sheet metal onto the surface of a metal object. Most commonly, this takes the form of silver inlaid into copper alloy vessels. Kaʿba (Arabic; in English, Kaaba): The cuboid ritual sanctuary located in Mecca. The Kaʿba provides the orientation (qibla) for prayer, and is the focus for the Muslim pilgrimage (ḥajj). Khān (Arabic): Caravanserai, a building in which merchants could stay when travelling. Kufic: A form of Arabic characterised by its rectilinear character and sparing use of diacritical marks. Kufic is one of the earliest formal Arabic scripts, and was most commonly used for the writing of the Qurʾan and for inscriptions from the late seventh to the eleventh century. Lime: Calcium oxide, made by burning limestone (calcium carbonate) at intense heat. This material has numerous applications, including the creation of mortar. Lustre-painting: A specialised decorative practice employed on glass and, more commonly, glazed pottery. Lustre comprises a very thin layer of silver and copper on the top of the glaze surface and possesses a natural iridescence. Madīna (Arabic): Town or city. A madīna must contain a Congregational Mosque (Arabic: masjid al-jamīʿ). Marble: A crystalline form of limestone. Also used to refer to any form of hard, decorative stone that can be polished to a shine. Mashrabiyya: A projecting window made from wooden lattice panels. Miḥrāb (Arabic): A recess located in the wall of the prayer hall of a mosque oriented toward Mecca (i.e. the qibla). The miḥrāb is often the focus for the most lavish decoration within the interior space of a mosque. Minbar (Arabic): The pulpit of a mosque from which the sermon is given after the congregation prayer on Friday. Usually located next to the miḥrāb (q.v.). Miṣr (Arabic): Originally referring to the garrison settlements (pl. amṣār) established after the conquests of the seventh and eighth centuries. Many of the amṣār later grew into major cities. Mithqāl: A weight equal to 24 qirāṭ (q.v. ), usually slightly less than 5 grams. Muʿallim (Arabic): Master of a given craft. Mud brick: The practice of making bricks from a mixture of clay rich mud, sand, and chopped straw or reeds. Bricks of this type a dried in the sun, rather than being baked in a kiln. Muhandis (Arabic): Engineer, but also used to refer to an architect. Muḥtasib (Arabic): Market inspector. Responsible for enforcing ḥisba (q.v.) in a town or city. Muftī (Arabic): A senior religious official who gives opinions on religious and legal matters. Muqarnas (Arabic): Complex stalactite vaulting. This decorative mode first appears in the Middle East in the late eleventh century. Naḥḥās (Arabic): Copper worker. Usually worked with sheet metal, hammering it into the desired shapes. Decoration would then be added by the naqqāsh (q.v.). Naphtha (Arabic: nafṭ): Flammable petroleum distillate. Napoleon: (in Arabic, faransawī) French gold coin used in commerce in the nineteenth-century Middle East. Naqqāsh (Arabic): 1) Painter; 2) Decorator of metal (usually copper alloy) vessels made by the naḥḥās (q.v.). Would add decoration using techniques including chasing (q.v. ), chiselling (q.v.) and inlay (q.v.). The term can also be used for a painter. Naskh (Arabic): A cursive script of Arabic that is commonly employed in Qurʾans and inscriptions from the eleventh century onward. Niello: Black material used in the inlay process, made from sulphides of silver, copper, gold or lead. Niello is applied into grooves next to inlaid wires in order to create greater visual contrast. See also black organic material. Nisba (Arabic): An epithet added to a name, usually indicating where the person was born. Natron: Mineral rich in sodium and calcium. Used as a flux (q.v.) in glass and glaze making. Noria (Arabic: naʿūra): Water wheel, commonly made from wood. These wheels are often employed to extract water from a river and deposit it into irrigation canals. Ore: Rock that is rich in one or more metallic elements. Ore has to be smelted (q.v.) in order to extract the metals contained within them (see also slag). Orpiment: Arsenic sulphide. This yellow mineral is employed in the preparation of pigments. Pattern book: Book providing guidelines for the range of different decorative motifs or structural forms that can created within a given workshop. Such volumes might also be consulted by patrons when commissioning an object or building. Pewter: Soft alloy composed of tin and lead. The lead may be substituted with other mixtures of other metals such as copper, antimony, and bismuth. Piastre: silver coin used during the Ottoman period (see also qarsh). Pisé (also rammed earth): A construction method that involves piling layers of clay rich mud in successive layers. Often used in the construction of walls in agricultural areas. Plying: connecting together spun threads. Plying is typically done in the opposite direction to spinning (see s-spun and z-spun). Porcelain: Highly fired kaolin rich ceramics that have a pale, stone like consistency. Porcelain was invented in China, though forms of porcelain were also produced in Europe from the eighteenth century onward. Porphyry: A hard purple rock much valued for decorative purposes in architecture. Potash: Potassium-rich substances, either derived from mineral sources or the burning of plants. Employed extensively in glass and ceramic glazes. Pseudo-epigraphy: Decorative elements on objects and buildings that imitate the visual characteristics of formal script. Punch: A steel tool with a decorative head that is struck into the surface of a relatively soft metal (such as copper alloy, silver, and gold). Qāḍī (Arabic): A Muslim judge. Qarsh or gharsh (Arabic/Ottoman Turkish): Silver coin, also called a piastre. Qaysāriyya (Arabic): A large building containing stores and workshops. These buildings were often under government control. Qinṭār (Arabic): Unit of measurement, comprising 100 raṭls (q.v.). Qirāṭ or qīrāṭ (Arabic): Unit of measurement, equating to one sixteenth of a dirham (i.e. 0.195 gram). Qiṭʿa (Arabic): Piece or section of something. Also refers to a small silver coin. Quarter (Arabic: rabʿ): An area of a town or city dominated by a specific confessional or ethnic group. Traditional Islamic urban settlements were divided into quarters. Quenching: rapid cooling (in water) in order to affect the properties of a metal object. Qurʾan (in English, Koran): The holy book of Islam. Believed by Muslims to be the final revelation of God (Allah) transmitted to the Prophet Muhammad. Raṭl (Arabic): A measurement of weight. In most of Syria the raṭl is 3.2 kg, while in Egypt it is 0.45 kg. Reduction firing: The practice of baking ceramic vessels using fuels that create smoke. This results in an atmosphere rich in carbon monoxide. Reduction-fired ceramics are often grey in colour. Repoussé: The practice of making relief designs by hammering metal vessels from the inside. Rivet: Metal pin with a rounded head that is used for connecting pieces of metal. Rock crystal: The purest form of quartz, and highly valued for the carving of small containers and ornaments. S-spun: Thread that has been spun in an anticlockwise direction (see also z-spun). Sarrāj or surūjī (Arabic): Saddler. Shādūf (Arabic): A simple water-lifting device comprising a counterweight lever and a bucket or bag. The noria (q.v.) is another common water-lifting mechanism. Sharīʿa (Arabic): Islamic law.  The branch of Islamic law most concerned with craft activities is ḥisba (q.v.). Shaykh (English: sheykh or sheikh): Old man or chief. Can also refer to the head of a guild. Shīʿa (Arabic): From the term, shīʿat ʿAlī (‘the party of ʿAli’), and referring to those Muslims who recognise ʿAli and his family line as the true successors to the Prophet as leaders of the Muslim community. These Muslims are also known in English as the Shiah or Shiites. Sijill (Arabic): Scroll or register. Ṣināʿa (Arabic): Can be translated simply as craft, but refers to all activities from which it is possible to derive all, or part of a person’s living. Ṣīnī (Arabic): Literally ‘of China’, but used to refer to fine ceramics (such as porcelain and celadon, or green ware) and other items imported from Southeast Asia. Slag: The waste left over after the smelting of ore (q.v.) for its metal content. Slag could sometimes be resmelted in order to extract additional metal. Soap ashes: Alkaline ashes made by burning plants, such as those of the genus, salicornia. Rich in potassium and sodium, these ashes can be employed as a flux (q.v.) for glass and glazes. Solder: Lead-tin alloy that melts at a low temperature (below 300°C). Used to connect sections of copper alloy vessels. Spinning: The shaping of rounded forms on a lathe. The technique is also known as turning. Squinch: A concave structural form deriving from ancient Iranian architecture. Steatite: A soft, greyish stone used in making vessels and other objects. Steel: An alloy principally made up of iron and carbon. Stonepaste (also fritware or, less correctly, faïence): An artificial ceramic paste typically composed of white clay, ground glass, and ground quartz. Stucco: A form of plaster made using fired and powdered gypsum (q.v.). Sufi (Arabic: Ṣūfī): Muslim mystic (see also dervish). Sunni (Arabic: sunnī): Those Muslims who follow the sunna (exemplary practice) of the Prophet Muhammad. Often called Orthodox Muslims. Sūq (Arabic): The market of a town or city. Includes both the selling and the manufacturing of goods (see also bazaar). Sūra (Arabic): Chapter in the Qurʾan (q.v.). Suyūfī (Arabic): Sword maker or armourer. Ṭabaqa (Arabic): A form of short biography. These were usually assembled into longer encyclopaedic texts. Ṭāʾifa (Arabic): Guild (q.v., see also ṭarīqa). Tanning: Processes involved in producing leather from animal hides. A variety of chemical agents are employed during the stages of tanning, including lime (q.v.) and types of tree bark. Tannūr (Arabic): Oven or kiln. Ṭarīqa (Arabic): Guild (see also ṭāʾifa). Thuluth or thulth (Arabic): A curvilinear form of Arabic script that comes into common use during the eleventh century. Tinker: An itinerant artisan who makes a living from mending tools and utensils. Ṭirāz (Arabic): The practice of adding embroidered inscriptions onto textiles. Ulema (Arabic: ʿulamāʾ): learned scholar, and referring to member of the religious intellectual elite. Ustādh (Arabic): Master of a workshop. ʿUthmānī (Arabic): Silver coin used during the Ottoman period. Waqf or waqfiyya (Arabic): Charitable bequest, usually established to support the running of a Muslim religious institution. Wimble: A brace used when drilling materials such as wood and stone. Yurt (Yūrt inTurkic languages, and ger in Mongolian): Round tent with a wooden frame and covered with felt or skins. Used by nomadic peoples in Central Asia. Z-spun: Thread that has been spun in a clockwise direction (see also s-spun). Zajjāj (Arabic): Glass worker or glazier.